During the 1970s my graduate school professors said the social science movement was building the knowledge base I would apply as a school administrator. According to them, research findings showed teachers and principals how to improve on trial and error. The failure of schools to improve over the last fifty years, however, has caused some philosophers to question the potential for research findings to improve education. This topic was recently discussed by Phillips (2009) and contributors to “The Research/Practice Divide” issue of Phi Delta Kappan (April, 2007), and the March, 2006, issue of this journal (Educational Leadership). But fifty years of no school improvement gets a different reaction from the researchers and policymakers who blame teachers for the failure. Their most recent claim is that teachers don’t apply research with fidelity (Protheroe, 2009). They argue that, when effective materials, methods, or tools are used but results are not satisfactory, it is because teachers didn’t apply them with fidelity–in ways specified by researchers and publishing houses. This is the most extreme case, yet, of believing in the social science improvement paradigm. Do we really want teaching behavior and decisions to be dictated by those who have never been in the teacher’s classroom? Of course not, but that is where the social science paradigm has led us. When will we see that schools don’t improve–not because teachers are inadequate–but because our improvement paradigm addresses what is peripheral, instead of what is essential? We need an aesthetic paradigm for improving education because teaching is an art (Dewey, 1938; Highet, 1950; Eisner, 1991; Palmer, 1998). As illustrated by figure 1, an aesthetic paradigm puts appreciation at the center and effectiveness at the periphery. The circle represents the art of teaching. As with all arts, appreciation is at the center. An aesthetic paradigm for improving education asks teachers to model and express appreciation for many things. Among them are appreciation for (1) the beauty of the educated person, (2) the multiple ways of modeling and teaching that ideal, (3) student effort, and (4) the relationships that promote that effort. This is not a friendship kind of appreciation; it is appreciation that carries all the rich, aesthetic meanings of the term. Just as artists are valued for their aesthetic expressions and their appreciation of the human condition; teachers should be valued for creatively challenging students to learn, and for appreciating individual students’ situations. Effectiveness is a by-product, not a goal. That is why “Teacher and student appreciation” is at the center of figure 1. This is not a new idea. The Art of Teaching was published sixty years ago (Highet, 1950), and Eisner (1991) has written about educational connoisseurship for a long time. An aesthetic paradigm for improving education simply holds that, if research-based materials, methods, and tools are going to improve teaching, appreciation must be at the center. No matter the desired improvements (better reading skills, higher test scores, lower drop-out rates, better prepared employees, etc. ), none are possible without increased appreciation. This premise might be disputed, however, by those who believe in the social science improvement paradigm. They can’t put appreciation at the center, until research provides evidence that it belongs there. That is how paradigms work. They make certain ideas comprehensible and others incomprehensible, as they provide a framework that assumes certain things, asks certain questions, and produces certain kinds of knowledge (Hurley, 2009). In this case the social science paradigm assumes instructional materials, methods, and tools are more or less effective. It asks questions about effectiveness, and it produces knowledge that answers those questions. An aesthetic paradigm, on the other hand, assumes teaching is an art. It asks questions about the educated ideal, and it asks teachers to model that ideal as they teach. An aesthetic paradigm produces knowledge which, itself, is appreciative. Teachers’ knowledge of academic content and their students expresses an appreciation of both, and these expressions form the basis for expecting students to reciprocate with appreciation for their lessons and teachers. Should teachers apply what has been found to be effective? Or should they express an appreciation for their students as they model what it means to be educated? They can choose both, and their choice will always be right, when appreciation is at the center and effectiveness is at the periphery. Conversely, their choice will always be wrong, when effectiveness pushes appreciation out of the center. Unfortunately, we have the latter situation in our current era of standards, accountability, and centralized governance. Schools have become so focused on improving standardized tests scores that teachers have little opportunity to cultivate their art. And teacher objections can’t be heard, now that policy making has moved to state and federal levels. For example research has found that professional learning communities (PLCs) improve standardized test scores, so teachers are told to form PLCs. Others believe we must teach 21st century skills. Still others believe teaching the great ideas of western civilization will improve education. All sorts of approaches are promoted as effective at improving education, with no regard for the role of appreciation. Teachers and philosophers can use figure 1 to explain that effectiveness suggestions are welcome, when they are at the periphery. None, however, should obscure the need for appreciation at the heart of good teaching. Cochran-Smith, M. (2002). “The Research Base for Teacher Education: Metaphors We Live (and Die) By.” Journal of Teacher Education, 53(4), 283-385. Dewey, J. (1938). Experience and education. New York: Macmillan Publishing Co.
practice. New York: Macmillan Publishing Co.
Highet, G. (1989). The art of teaching. New York: Vintage Books, 1989, c1950. 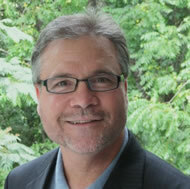 Hurley, J. C. (2009). 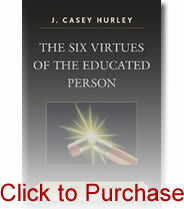 The six virtues of the educated person: Helping kids to learn, schools to succeed. Lanham, MD: Rowman & Littlefield Education. Palmer, P. (1998). The courage to teach: Exploring the inner landscape of a teacher’s life. San Francisco: Jossey-Bass, Inc.
Phillips, D. C. (2009). “Empirical Educational Research: Charting Philosophical Disagreements in an Undisciplined Field.” In The Oxford Handbook of Philosophy of Education, ed. Harvey Siegel (pp. 381-406). New York: Oxford University Press. Protheroe, N. (2009). “Fidelity of Implementation.” Principal’s Research Review, v. 4, n. 6. November, 2009.